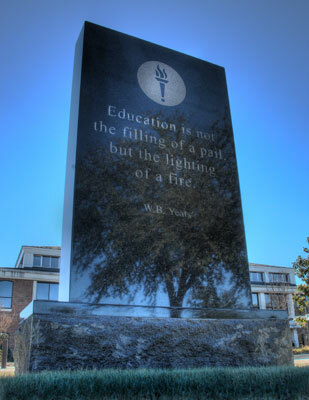 Wayne Community College has established the Hope Monument as a campus landmark of honor, distinction, and remembrance to celebrate the work and achievements of past and present faculty, staff, and alumni. Bricks may be purchased to honor such individuals. Please click on the link below to get started.